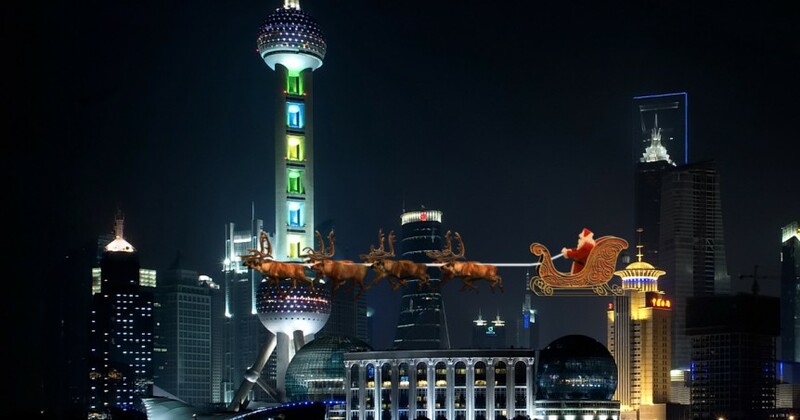 I Spot Santa’s video elf Blossom spotted Santa Claus in Shanghai flying over the Oriental Pearl Tower. What a great sight to see! He also gives some good advice for all of us out here, remember to listen to Santa this year and be at your best. Firework shows are popular during the Christmas season in China, they have many live events like jugglers and acrobats performing for the season. Inside their houses they place Christmas trees and call them “tree of lights,” The trees are decorated with colorful lanterns, fresh flowers, and red paper chains that symbolize happiness.